The treadmill motor is the heart and soul of any machine, from the most basic one to the top end commercial-grade model found at your local health club. As such, it is one of the most important components, one that it pays to know a little more about whether you are in the market for a new treadmill, or you're having issues with the motor in your current machine. 1. What is the ideal horsepower for a treadmill? 2. My motor failed...what should I do now? How Much Horsepower Should a Treadmill Have? Before we go into horsepower, it's important to understand that a treadmill motor needs to be high quality in order to function properly. Regardless of the horsepower indicated, if it's not a well-designed, well built motor it's simply not going to last. So one of the first things you should do when figuring out which treadmill to buy is to check out the motor, and see how long the warranty is on it. This will give you a good indication of quality. If you see 5 years on the motor, you know it's not going to last very long. For your reference, all of our best treadmill picks have durable, high quality motors. Now as far as horsepower, you will typically see HP and CHP, i.e. horsepower and continuous duty horsepower. So what's the difference? Horsepower (HP), sometimes referred to as Peak Duty, is a measure of the maximum amount of horsepower the motor runs at. It is not an indication of how long the motor can actually maintain that amount, and is often based on a very minimal load, making it inaccurate. For example, a 2 HP motor might be able to reach 2 HP at its max, but may not be able to maintain that throughout your workout. Continuous Duty Horsepower (CHP) is just that, the minimum amount of horsepower that the treadmill maintains continuously throughout your workout. So as an example, a 2 CHP motor can maintain that HP level for an extended period of time. Without getting too technical, just keep in mind that CHP is going to be a much better indication of the motor's power than HP alone or Peak Duty. The only exception to this rule is the treadmills from Johnson Health, including Horizon, Matrix and Vision. The company usually lists an HP rating rather than CHP, but their motors are some of the best you will find on the market hands down. So just what should that CHP number be? How much horsepower a treadmill motor should have basically depends on what you will be using it for. If you're just walking every day, you don't need a super powerful motor because you are not demanding a lot from the machine. Conversely, if you're running at top speeds, you're going to need a much more powerful motor to handle the workload. This is assuming you are of average weight and height, and it's just you or perhaps one other individual using the machine. If you are heavier, ot if there will be many people banging away on the machine regularly, you might want to bump these figures up by about .5. For example, if you are a serious runner, and you're over 200 lbs., you'll be better served with a 3.5 CHP motor. My Treadmill Motor Failed...What Do I Do Now? Repair, rebuild or replace? Treadmill motors are such a vital component of your machine that you want to be able to get the best solution when your treadmill malfunctions. Some motor problems can be repaired, but if the motor is blown or completely burned out, it’s time to get it replaced. Dust is often a factor in motor failure but hands down the major problem typically stems from a worn belt or one that has not been lubricated, and this causes a great deal of strain on the treadmill motor. This is taking into account that you’ve got the right treadmill for the amount of exercise you do, as we covered above. Ideally, if you run on a treadmill the motor’s RPMs should be lower than 4000; if you’re a walker, the RPMs should be under 5000. Motors that spin faster than this are bound to overheat and you’re just asking for trouble. If you're having problems with your treadmill motor, the first thing you'll want to do is contact the manufacturer. Tell them what's going on and see what they recommend you should do. They might be able to send a technician to your home to make the necessary repairs, and it may in some cases pay to do so. Most of the time, however, you will need a replacement motor. And it will likely be cheaper than any necessary repairs anyway. Going online offers the convenience, competitive prices, and selection that you won’t be able to find around town in box stores. The majority of treadmill motors that are sold online at Amazon.com are supplied and shipped by Treadmill Doctor, a respected information site that also offers repairs on most makes of machines including ProForm, Healthrider, NordicTrack and more. Before you order though, make sure the Motor Control Board (MCB) isn't burned out. If it’s not the motor that’s giving you problems, it could be the MCB, which is one of the main repair problems on most treadmills. You can mess it up due to improperly grounding the machine as well as power surges (buying a $30 surge protector will correct that problem!) but they can also fail - again, due to lack of lubrication on the belt. Just as you want to protect the computer display on the console, you should also be aware of protecting the MCB. 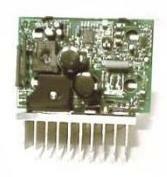 Like treadmill motors, you can find replacement control boards online at Amazon, such as an Icon Fitness treadmill motor control board. 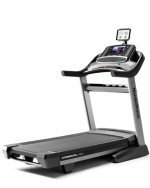 This will fit any of ICON’s extensive line of treadmills which includes ProForm, NordicTrack, HealthRider and Freemotion. You’ll need to order either the MC-60 ($80) or MC-70 ($170) board. Treadmill motor control boards are easy enough to install; just plug them in like you would additional memory on a computer motherboard and you’re ready to go. As with all treadmill parts, check your warranty first as treadmill motors on many of the elite models come with a 10-year, or even a lifetime, warranty. But if you’ve made the decision to replace the motor by buying it online, you can be assured it will be new, factory direct and easy to install.